What happens when you take an incredible strong-willed girl and introduce her to an equally strong-willed animal? Magic. Such was the beginning of the journey that would see Meredith Hodges become one of the most respected competitors, educators and advocates of “longears.” Although she was a horse-crazy girl, that first encounter with a mule would change the direction of her life. In 1980, Meredith moved to Loveland, Colorado, and started the hard work to transform a ramshackle 10-acre sheep farm into Lucky Three Ranch. She began breeding and training a line of mules that would become internationally renowned for their exceptional quality and athletic ability. These mules achieved world championships in jumping, dressage and combined training, successfully competing against horses. Lucky Three Sundowner was the first mule to ever reach fourth-level dressage and Little Jack Horner was the world’s first formal jumping donkey to clear four feet in exhibition. 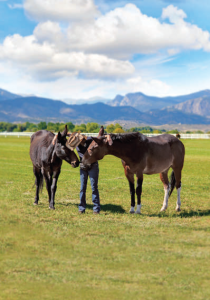 To this day, Lucky Three Ranch remains a cornerstone in the promotion of all equines, from its state-of-the-art teaching museum, to its hands-on ranch tours, and the beautiful equine sculptures that grace its grounds. Meredith’s years of comprehensive study have produced a new, enlightened approach to the safe management and humane training of all equines. Her award-winning books, DVDs, television shows and research have been compiled into an extensive encyclopedia of information and reference materials at the Lucky Three Ranch website, while her fans have made her one of the most popular trainers on social media, with over 250,000 fans on Facebook alone. a graduation clinic, all conducted by Meredith herself. The lessons taught students how to interact with and train their own equines while preparing them for a career in equine management. decade as a trainer, Meredith says she is still listening to them and learning. 1991 – Lucky Three Ciji is named International Side Saddle Organization All-Around Champion. at Bishop Mule Days setting the world record and becoming the world’s first formal jumping donkey. 1992, 1993 – Meredith rides Lucky Three Sundowner to two world championships at third-level dressage. 1992 – Lucky Three Ciji is named Reserve International Side Saddle Organization All- Around Champion. 1993 – Mae Bea C.T. takes first place at the Abbe Ranch Horse Trials, in competition with 56 horses. 1993 – Meredith rides Mae Bea C.T. in the presidential inaugural parade in Washington, D.C.
2002 – Meredith’s television show, Training Mules and Donkeys, debuts on RFD-TV. 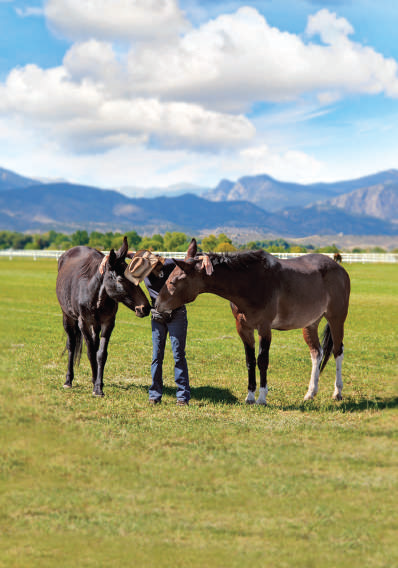 2005 – Meredith receives a commendation from the Colorado State Senate for her tireless efforts and long history of service to the equine community. 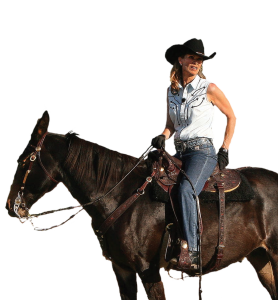 2006-2009 – Meredith produces the award- winning documentary series, Those Magnificent Mules, which airs on RFD-TV. 2014 – Little Jack Horner inducted into the Bishop Mule Days Hall of Fame – Champion Performance Donkey. 2015 – Meredith’s fans make her one of the most popular trainers on Facebook, with over 200,000 followers. their animals, and behavior modification was the key to the partnership. Rather than go on the road teaching clinics (where there was no one-on-one time), Meredith decided that she would instead document the training of her own animals in a filmed series for television that would show real trials that occurred along the way. Allowing her audience to see the process she used to teach her animals also allowed them to see the bond that developed through learning without using gimmicks or tricks. The result was the award-winning television series, Training Mules and Donkeys, which has aired on RFD-TV, the Discovery Channel and the Outdoor Life Network. A more-detailed version of the series is now available as a training set on DVD. Meredith is also the author of the definitive training guides, Training Mules and Donkeys: A Logical Approach to Longears, Training Without Resistance: From Foal to Advanced Levels, Equine Management and Donkey Training, Donkey Training, A Guide to Raising & Showing Mules, and Equus Revisited: A Complete Approach to Athletic Conditioning. Mules have been called rebellious, stubborn, difficult, trouble makers. they’re also brave, affectionate and unconditionally loyal to those they love. Welcome to the challenging, complex, often misunderstood and always fascinating world of “longears,” as seen through the eyes of Meredith Hodges, the world’s leading authority on mules and donkeys. This is a world that she understands like no one else. This 13-episode documentary series explores Meredith’s own personal and professional trials taking her from novice to champion, while discovering these magnificent animals and their vast capabilities. Experience the unique go-for- broke competitions at world-class events, complete with exclusive behind-the-scenes interviews and footage. As a long-time, passionate supporter of the healing power of equines, Meredith also takes us on an uplifting journey into the world of Therapeutic Riding for children, adults and wounded warriors with mental, physical or emotional challenges. This award-winning series is a rousing adventure full of surprises, humor and inspiration that you won’t forget! 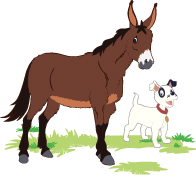 and interesting facts about mules and donkeys tailored just for kids. be kind to animals. e series teaches patience and acceptance and celebrates traditional family values, while using plain language and simple concepts to explore more complex issues. Both the books and DVDs are suitable for all ages. “An adventure-filled story geared towards children that the entire family can enjoy! Located just forty miles north of Denver and nestled near the foothills of the Rocky Mountains, Lucky Three Ranch is a state-of-the-art, 127-acre working ranch and organic hay farm. 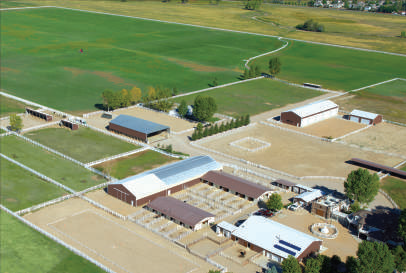 It is also home to internationally recognized trainer Meredith Hodges and her champion equines. 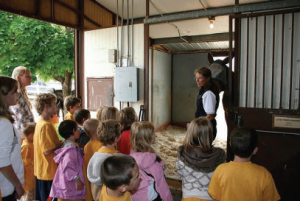 Our tours are perfect for seniors, children and anyone with an interest in animals. If you are an equestrian, we have even more for you! All tours are interactive and customized for each group. hand Belgian draft mule, Roll, and the minis, including the newest additions, miniature donkeys Spuds and Augie. Experience the beautiful life-size bronze sculptures of the Loveland Longears Sculpture Park that commemorate many of the record-breaking feats of the Lucky Three champions. For the kids, visit Jasper’s Bunkhouse and see the diorama of Jasper’s Happy Valley Ranch. The ranch is handicapped-accessible and we provide tour carts for our guests who have mobility issues, or who might not otherwise be able to make the trek around the property. Lucky Three Ranch is a working ranch and not open to the public, except for scheduled tours. Tours are available Monday through Friday by appointment only, and all tours begin at 10:00 a.m. The tour season runs from January through October. Visit our tour site to book a tour! 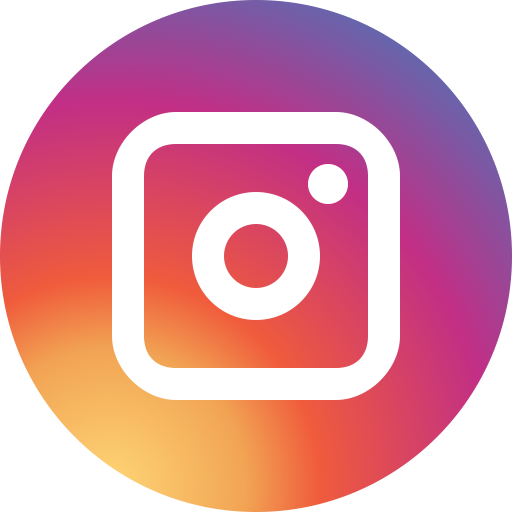 For logos or graphics, please send us an email or call us at 970-663-0066.